Our LGBT Network is made up of staff who support each other and our patients and promote and improve LGBT equality and inclusion within our Service. They provide a supportive and confidential environment for LGBT staff, friends and colleagues, and support LGBT staff in having a direct say into our policy and service development. 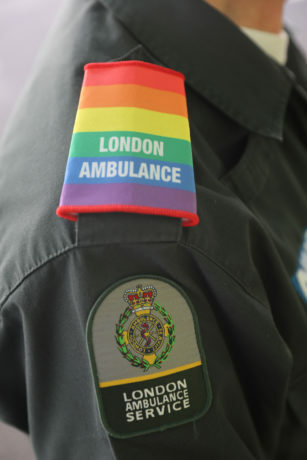 We are also a proud member of the National Ambulance LGBT Network. 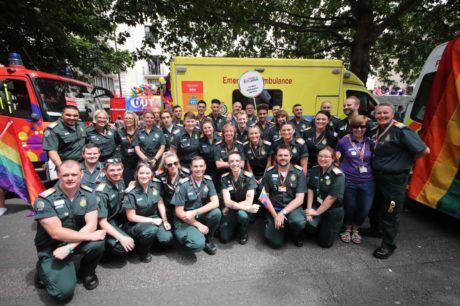 Alex Ewings, Co-Chair of the LGBT Network said: “London Ambulance Service was a friendly and supportive place for me to start my career as a young adult. 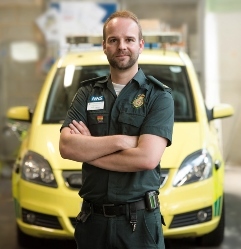 I went straight from college to Hertfordshire University and did a paramedic science degree. It was completely coincidence, but one of the first ambulance crews I worked with on placement were both gay. “It’s always a bit nerve wracking when you start a new job, but I found that the Service was supportive to new staff and my sexuality was never a barrier. “Being open in the workplace can help our patients too. I have a discreet rainbow badge that I am proud to wear on my uniform, which is small but can put patients at ease. It can help them open up and some patients make reference to it. We have previously been named one of the country’s most gay-friendly workplaces in Stonewall’s Top 100 Employers list, and have been a top 10 performer on the Stonewall Health Equality Index. We have joined Stonewall’s Health Champions Programme to receive advice and expertise from the LGBT equality charity. 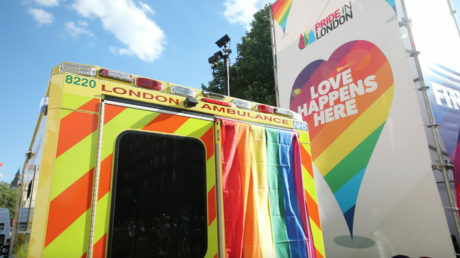 London Ambulance Service was also one of the first 20 national Stonewall health champions. Each year we join Londoners in the Pride of London parade. Last year we officially opened the event alongside our emergency services colleagues. Read more here.